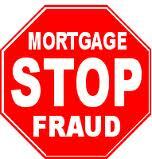 Mortgage Fraud scheme earns Tacoma, Washington man – Jeff McGrue – 25 years in Federal Prison! A Tacoma, Washington man was sentenced today to 25 years in federal prison for running a scheme that defrauded owners of distressed Southern California homes by promising to prevent foreclosure through the paying off of their mortgages, but in reality doing no more than sending their lenders fake notes, totaling $55 million, that were supposedly backed by Treasury bonds. Jeff McGrue, 51, who was found guilty by a federal jury in January 2011 of four counts of mail fraud and four counts of passing fictitious government instruments to lenders and loan servicers, faced a statutory maximum sentence of 180 years in custody. The evidence presented during a four-day trial in United States District Court showed that McGrue orchestrated the foreclosure-rescue scheme from the fall of 2007 through the fall of 2008 through a company he called “Gateway International.” McGrue worked with two others – Gerald Guidry, who owned a company called My Debt Solutions, and Ronald Morgan, who owned a company called Omnipoint – to defraud 250 Southern California homeowners by promising to delay or prevent foreclosures and to pay-off delinquent mortgages in exchange for the homeowners making payments and transferring title to Gateway International. McGrue and the others identified homeowners who were facing foreclosure or who were “upside-down” on their mortgages. Relying on a network of “consultants,” many of whom were real estate agents, McGrue recruited these homeowners into his “Gateway Program.” Through the Gateway Program, McGrue and the others falsely told homeowners that, if they paid an enrollment fee and monthly rent and signed over title of their homes to Gateway, McGrue would use “bonded promissory notes” purportedly drawn on a U.S. Treasury Department account to pay off their mortgages, thereby stopping foreclosure proceedings. The homeowners were falsely told that lenders were legally required to accept the notes, that they would be able to buy their homes back from Gateway International at a discount, and that they would receive up to $25,000, even if they chose not to re-purchase their houses. In reality, McGrue did not own any bonds and did not have a U.S. Treasury Department account. Nor could he have the type of account described to homeowners because the Treasury Department does not maintain accounts that can be used to make payments to third parties. McGrue and his co-schemers enrolled more than 250 victims in the “Gateway Program,” but McGrue did not save a single home. McGrue collected approximately $1 million in the form of enrollment fees and rent from these victims. The evidence at trial showed that McGrue signed bogus documents to make it appear the victims’ outstanding mortgages had been paid off so he could re-sell the victims’ properties, which had been re-titled in Gateway’s name, to unsuspecting buyers. Guidry, a 44-year-old Lancaster resident, pleaded guilty last year to conspiracy and making false statements. He faces a statutory maximum sentence of 10 years in federal prison when he is sentenced by Judge Wright on October 17. Morgan, a 52-year-old resident of Sumner, Washington, pleaded guilty last year to conspiracy. He faces a statutory maximum sentence of five years when he is sentenced by Judge Wright on November 7. A fourth defendant charged as a result of the investigation, John-Pierre Rivera, of Los Angeles, participated in part of the scheme with McGrue. Rivera pleaded guilty last year to tax evasion. Rivera is scheduled to be sentenced by Judge Wright on November 28, at which time he faces a statutory maximum sentence of five years in federal prison. 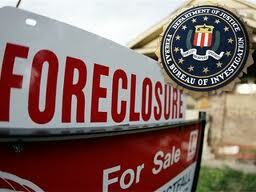 The investigation into this mortgage foreclosure scheme was conducted by the Federal Bureau of Investigation. Jose Arnaldo Rosario pleads guilty to Mortgage Fraud – Straw Buyers and Fake Documentation – A Classic scheme! Jose Arnaldo Rosario, of Miami-Dade County, pled guilty today to conspiracy to commit money laundering and wire fraud, all stemming from a mortgage fraud scheme. At sentencing, Rosario faces a maximum term of imprisonment of five years. Sentencing is scheduled for August 3, 2011 at 1:30 PM in Miami, FL, before U.S. District Judge Jose A. Martinez. According to the Information, from at least November 2005 to January 1, 2007, Rosario and his co-conspirators purchased two properties located at 1331 Brickell Bay Drive (Unit 3003 and Unit 803), Miami, Florida, by obtaining bank loans using false and fraudulent information, phony documentation, and falsely inflated property valuation levels. Rosario and his co-conspirators provided the lending institutions with the name of a straw buyer rather than the names of the true purchaser(s); provided false and fraudulent information concerning the intent of the straw buyer to live at the property; and provided false and fraudulent information concerning the employment history and financial resources of the straw buyer. According to court documents, Rosario and his co-conspirators then used these loan funds to purchase the properties using little or no money of their own. A portion of the difference between the amount obtained from the lending institution and the fair market value of the property (or “true price”) would be distributed among the conspirators in the form of undisclosed kickbacks. Rosario set up a shell company named Empire Associates to receive the funds initially and to make subsequent transfers. To avoid detection, Rosario would make a limited number of monthly payments on the loan for approximately one year before he stopped making payments altogether and allowed the properties to go into foreclosure. At today’s plea hearing, Rosario acknowledged that the loss resulting from his actions is approximately $2.51 million. As a business ethics and fraud prevention speaker, I often discuss with my audiences the types and forms of fraud and the above is a classic scheme. The amazing thing is that they didn’t do more. Seems they got in late to the party as the market was turning against them as the scheme unraveled. If you know Rosarie and wish to comment on the motive know that – YOUR COMMENTS ARE WELCOME! Convicted of orchestrating a $3 billion fraud as chairman of one of America’s largest private mortgage companies, Taylor Bean & Whitaker, Lee B Frakas was sentenced to 30 years in prison. Prosecutors sought a life sentence Farkas calling the case against him one of the most significant arising from the nation’s financial meltdown. A jury convicted Farkas of all 14 counts leveled against him, including securities fraud and conspiracy. Farkas testified that he had done nothing wrong. Nothing wrong? Surely by the time he found himself facing a jury and judge he might have concluded that something was wrong – and the common denominator was him! According to news reports the Farkas fraud began in 2002 and took multiple forms, according to prosecutors. Taylor Bean overdrew its main account with Colonial Bank by several million dollars and eventually double- and triple-pledged mortgages it held to a variety of investors. 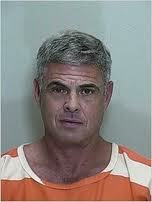 Prosecutors also alleged that Taylor Bean sold hundreds of million in worthless mortgages to Colonial. Prosecutors say Farkas led a lavish lifestyle that included multiple houses — including one on Key West — several dozen classic cars, a private jet and a seaplane. Farkas, of Ocala, Fla., is the last of seven employees and executives from Taylor Bean and from Colonial to be sentenced. Taylor Bean collapsed in 2009 when the scheme unraveled, putting 2,000 employees out of work. When the house of cards begins to fall – all I can say is get out of the way! Reports states that Colonial and two other major banks — Deutsche Bank and BNP Paribas — were collectively cheated out of nearly $3 billion during a scheme that spanned more than seven years. According to a Time Magazine report: Farkas and his co-defendants also tried to fraudulently obtain more than $500 million in taxpayer-funded relief from the government’s bank bailout program, the Troubled Asset Relief Program (TARP). Neither Taylor Bean nor Colonial ever received any TARP money, even though TARP at one point gave conditional approval to a payment of roughly $550 million, investigators say. U.S. District Judge Leonie Brinkema told Farkas she detected no remorse as she sentenced him to 30 years — twice the 15-year sentence requested by his attorneys. How is it that someone who has some obvious intelligence can be so caught up in the illusion of their actions that they fail to accept reality and comprehend the gravity of their choices? If you have insight into the mind of Farkas or were caught up in the inner operations of what brought down the private mortgage company…feel free to comment! 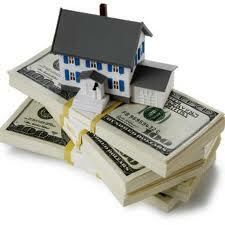 Michael Dokmanovich guilty in a Mortgage Fraud scheme! 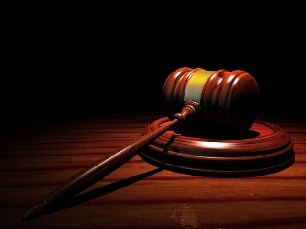 Acting United States Attorney Robert S. Cessar announced that Michael Dokmanovich, a resident of Bethel Park, Pennsylvania, pleaded guilty in federal court to a charge of Wire Fraud conspiracy in connection with a mortgage fraud scheme. Dokmanovich, age 36, pleaded guilty to one count before United States District Judge Donetta Ambrose. Dokmanovich operated Brandy Financial Services Company, which was a mortgage broker company. Dokmanovich participated in a conspiracy in which he submitted loan documents to lenders that overstated the borrowers’ financial condition, including their assets and income. The conspiracy also involved appraisals that overstated the true fair market values of the properties serving as collateral for the loans. In addition, the conspiracy involved fraudulent closings, in which the closing agent executed closing documents that falsely represented that the borrowers had made down payments associated with the purchases of the properties when the borrowers did not make down payments. Judge Ambrose scheduled sentencing for August 24, 2010. The law provides for a total sentence of 20 years in prison, a fine of $250,000, or both. Under the Federal Sentencing Guidelines, the actual sentence imposed is based upon the seriousness of the offense and the criminal history, if any, of the defendant. The Mortgage Fraud Task Force conducted the investigation that led to the prosecution of Dokmanovich. The Mortgage Fraud Task Force is comprised of investigators from federal, state and local law enforcement agencies and others involved in the mortgage industry. Federal law enforcement agencies participating in the Mortgage Task Force include the United States Secret Service; the Federal Bureau of Investigation; the Internal Revenue Service, Criminal Investigations; the United States Postal Inspection Service; and the United States Department of Housing and Urban Development, Office of Inspector General. Other Mortgage Fraud Task Force members include the Allegheny County Sheriff’s Office; the Pennsylvania Attorney General’s Office, Bureau of Consumer Protection; the Pennsylvania Department of Banking; the Pennsylvania Department of State, Bureau of Enforcement and Investigation; and the United States Trustee’s Office. You are currently browsing the archives for the mortgage fraud category.